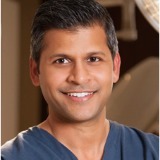 A facial plastic surgeon expresses his opinion of skin tightening with Ulthera. Natural-looking skin tightening results may now be available with ultrasound powered Ulthera. Ultherapy, the new skin tightening device uses ultrasound to non-surgically offer patients a lift to skin that is beginning to lose it's elasticity. Can Stretched or Torn Earlobes Be Repaired? Having an earlobe reduced or repaired is a common and inexpensive procedure. From simple surgery to non-surgical procedures, treating the permanent frown and parenthesis around the mouth can be easily achieved. Ultherapy offers patients an alternative to the traditional eyebrow lift without surgery. How To Fix Sagging Earlobes? Fashion trends come and go but sometimes, their effects may be long lasting and unsightly. The Earlobe Reduction procedure may restore droopy earlobes caused by years of wearing heavy earrings. If prevention is the key to many things, including wrinkles, how do you stop something that seems inevitable? Large and heavy earrings could stretch your ear piercings and lengthen the actual earlobe, leaving unsightly slits in the earlobes.